DUIs occur much more frequently at night, which makes police more likely to pull drivers over for basic driving errors after the sun goes down. In Arizona, getting pulled over for DUI is serious, because our state has some of the harshest DUI laws in the country. If you are arrested for driving under the influence—even if you tested under the BAC limit of 0.08—you may face at least one day of jail time, license suspension for 90 days, alcohol education courses, and one year of maintenance and use of an ignition interlock device in your vehicle as part of a mandatory sentence. Repeat DUI offenders face even more penalties, and all drivers convicted of DUI will spend thousands in fines, court fees, legal expenses, and other associated costs. If you’ve been drinking and are pulled over, you will want to know your rights. You should be fully cooperative with the police, following any instructions to produce personal and vehicle identification. You do not, however, have to answer any other questions without an attorney present or participate in a roadside sobriety test. When you are on the road at night, small errors can be costly, because police officers will be more likely to pull you over for minor infractions. In fact, most DUIs occur when someone has committed a small mistake on the road and the officer observes the smell of alcohol when talking with the driver during a roadside stop. Therefore, you will want to be particularly diligent about using your turn signal, avoiding wide turns, adhering to the speed limit, and tailgating when you’re driving after dark. In addition, you should keep your car in good condition, because equipment violations like burned out taillights, broken windshields, expired tags, and excessively dark window tint can all prompt a police officer to pull you over. 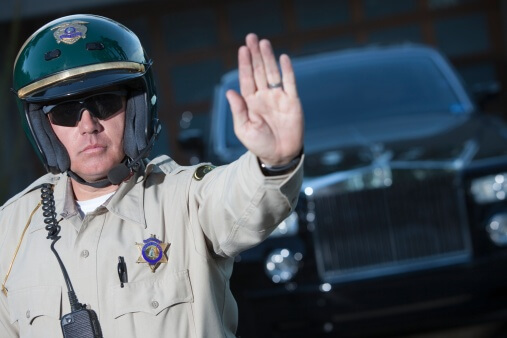 As soon as you are told to get out of your car during a roadside stop, you have the right to have an attorney present for any questioning from the police. Don’t let your future hang in the balance with the wrong representation. Call Steven D. West, Attorney at Law at (520) 623-4387 to take your DUI case.